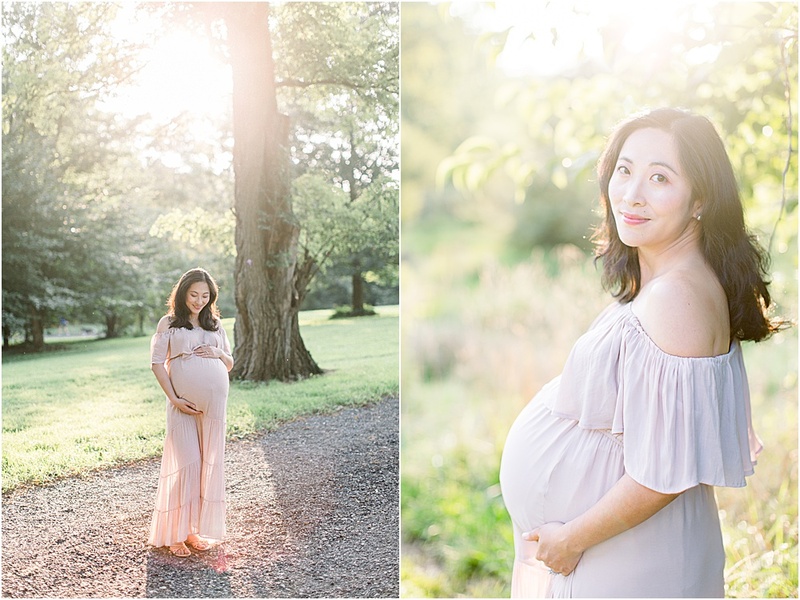 Vivian was a dream to work with for her maternity session. We started at my Paoli studio (right outside of Philadelphia); she chose two dresses for the studio portion of her session. That gorgeous robe is from Baby Portrait Prop Shop - beautiful, right? I love the delicate lace sleeves. All of Vivian’s dresses came from the studio wardrobe, which is complimentary for all of my clients. After the indoor portion of her session, we headed to one of my favorite outdoor locations for golden hour. Time of day is so important when you’re planning your session - see that beautiful warm light? That doesn’t happen when the sun is just overhead! When you’re planning when to take your family photographs, maternity photographs, or even child portraits, please consider the time of day to get the best possible light. Veronika Paluch is a Philadelphia area and Mainline photographer. She specializes in natural light, organic, classic portraits and photography, including maternity sessions, newborn sessions, family sessions, and child portrait sessions.